The Small Gothic Greenhouse is an attractive, practical greenhouse which enables you to get a lot of functionality in a relatively small space. 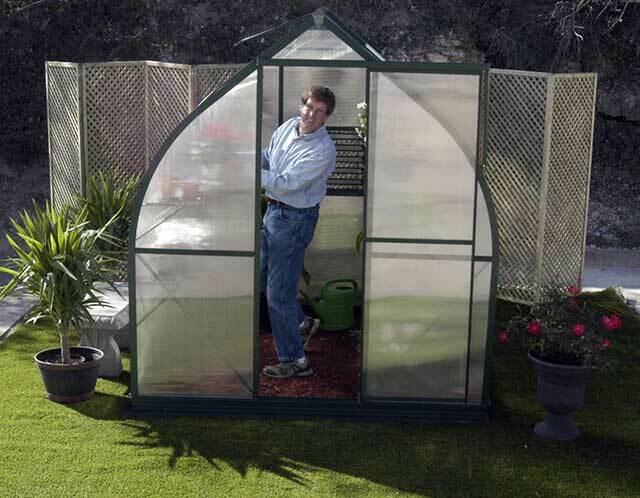 The Small Gothic Greenhouse measures 6' 8.5" W x 7'2" L x 7'2" H, giving you 48 square feet of usable growing space for plants and flowers of all types. 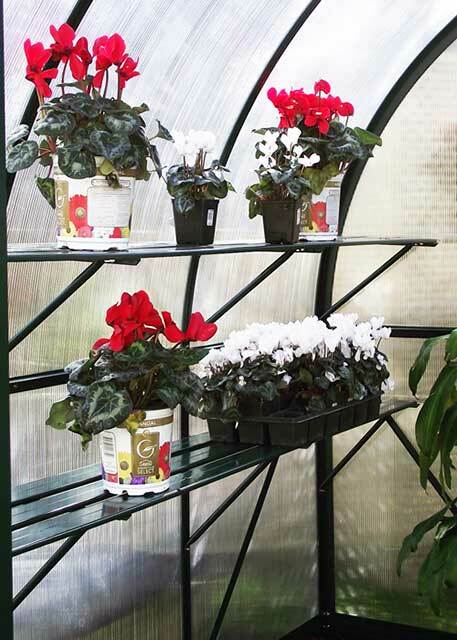 To maximize this space, 2 full length shelves are included, and adjustable metal hooks or plastic hangers are available optionally for hanging plants. 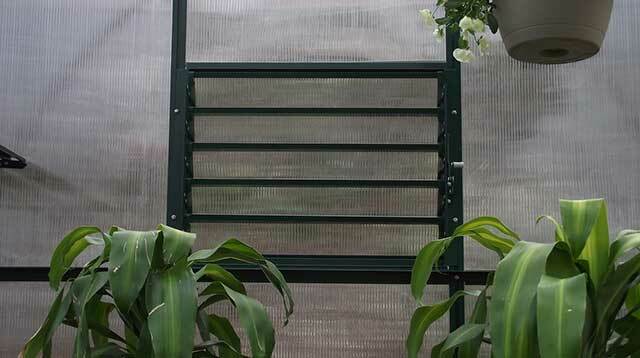 Access is easy via he 23" wide sliding door, and air flow in the growing environment can be controlled by the included louver window and solar exhaust fan. 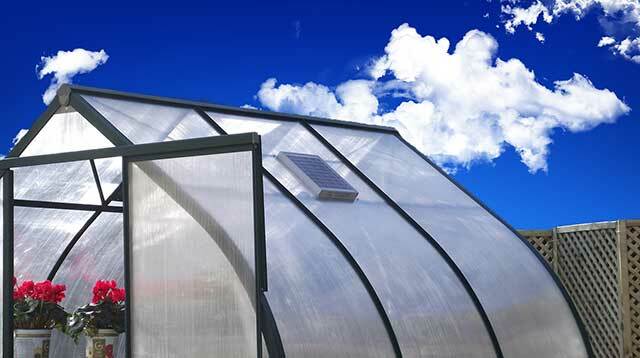 This greenhouse is easy to assemble and has a warranty of 10 years on the polycarbonate clear sections, and 15 years on the aluminum frame. 6' 8.5" W x 7'2" L x 7'2" high; 48 sq.ft. Includes: 1 sliding door, 1 roof vent, 1 louver window, 2 shelves and solar exhaust vent.